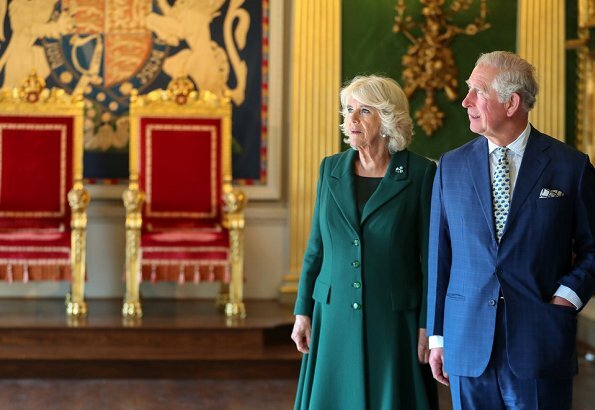 On April 09, 2019, The Prince of Wales and The Duchess of Cornwall visited Hillsborough Castle in Northern Ireland to re-open the Castle after an extensive 5-year renovation project. 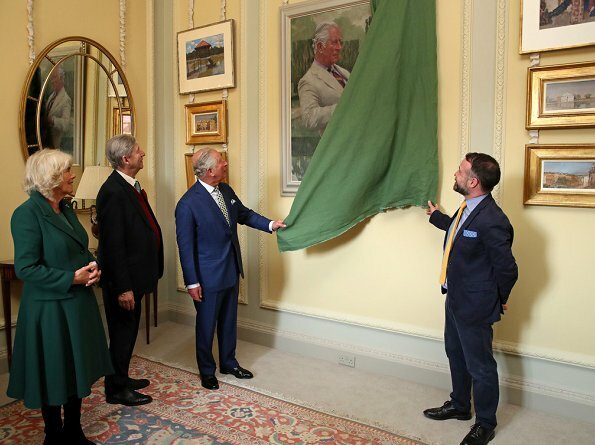 The castle is the official Northern Ireland residence of HM The Queen. 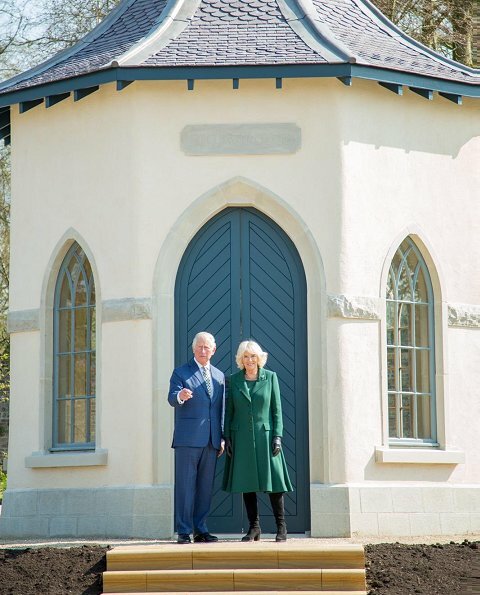 In the 1940s, the then Princess Elizabeth enjoyed family holidays here with her sister Princess Margaret, and she continues to visit and attend official engagements here today. 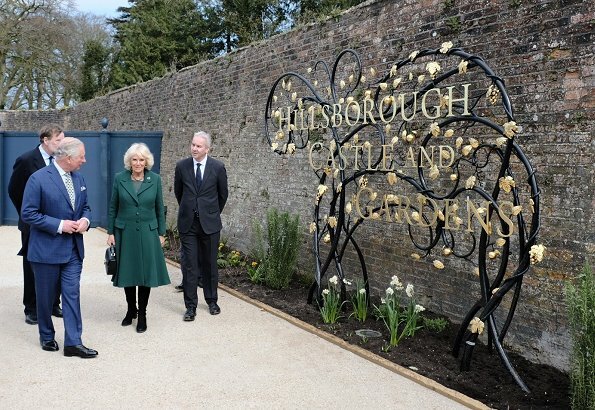 In 2014, Historic Royal Palaces took over the running of Hillsborough Castle and Gardens and began a project to restore the house and gardens. They both look very good. 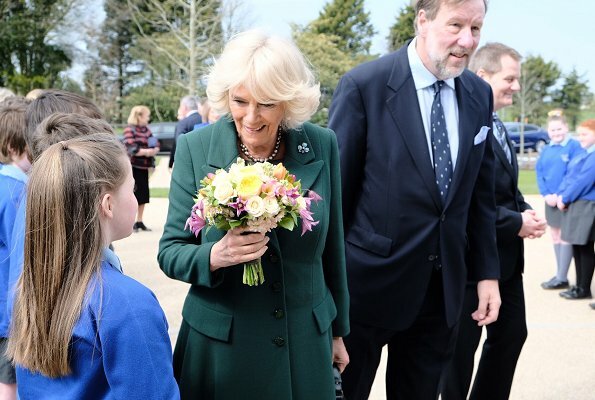 Camilla looks perfect. 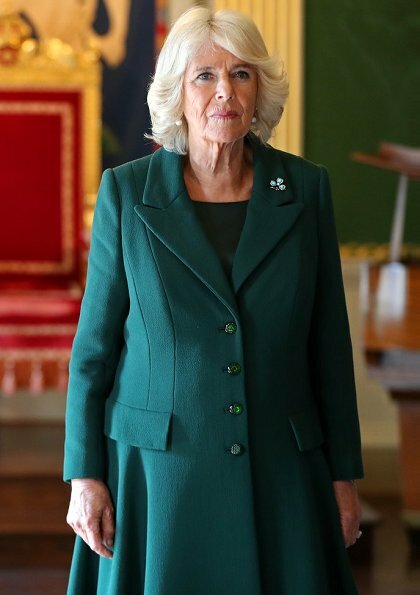 Dss Camilla looks wonderful today. This coat is a very lovely color. I also like to wish them both Happy 14th Wedding Anniversary. This couple really enjoys working together. Both look happy. Their’s is a lovely, though often controversial love story. 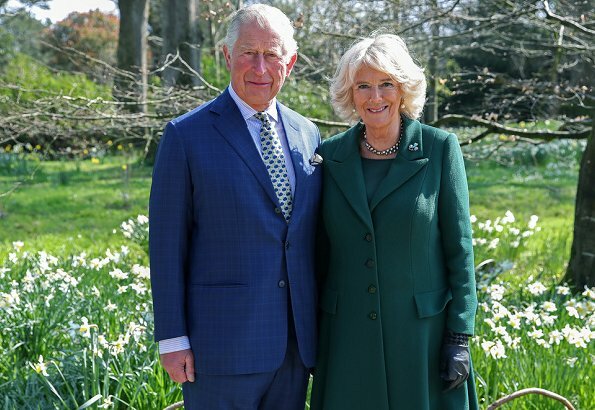 They both look great here, Cam’s coat is one of the best she has ever worn. 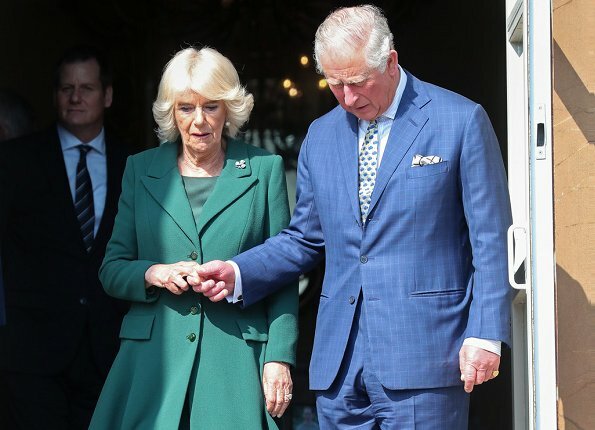 That pic of Charles holding Cam’s hand is very romantic indeed. een mooi koppel, graag bij elkaar dat zie je. They are a really nice couple. I think, in the end, it's good, that they found together. Both didn't seem to follow their heart in first marriages and that hurted them and their expartners. But now they are together and I think, it's good and they seem to be a great couple. In german we call it 'angekommen' - 'arrived'. How good do they look? My heart warms up every time I see them. Wish I had the same strength in dealing with all and any of the challenges life throws at you. 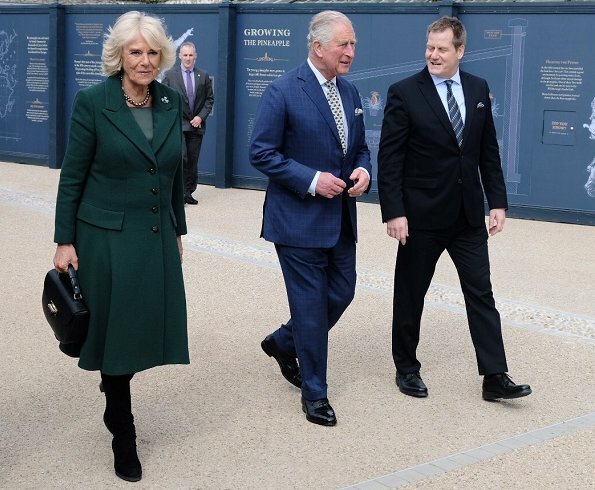 Sehr berührend, wie Prince Charles Camilla die Hand reicht, um ihr auf der Treppe Sicherheit zu geben. Ich wünsche ihnen noch viele glückliche gemeinsame Jahre! 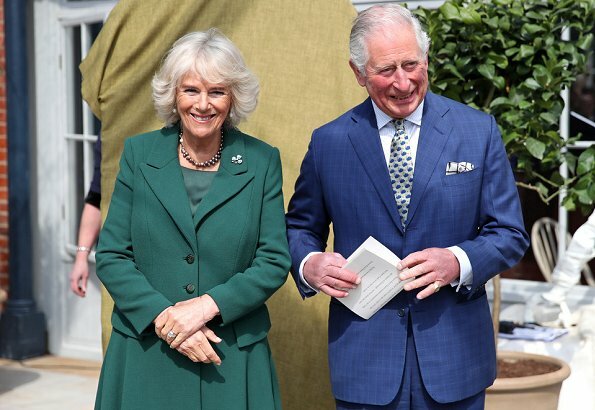 A lovely Royal couple who no doubt are a great asset to her majesty;they offer stability in a very traditional way. 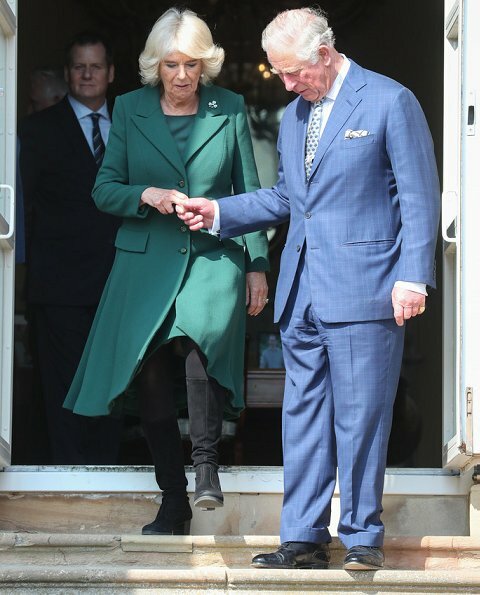 Camilla's coat is nice the boots go well with it,Charles suit looks smart.The pair have a good work life balance;not flashy,showy extravagance. 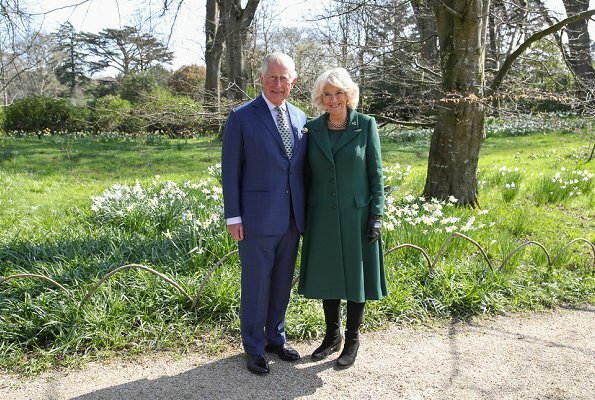 Touchant, les doigts du prince Charles tenant la main de la duchesse de Cornouailles ! Lovely pics of this smashing couple. Happy anniversary to this lovely couple! I wish them many happy returns with love and happiness!